In the dark beyond the Hellmouth there is a terrible need for light. 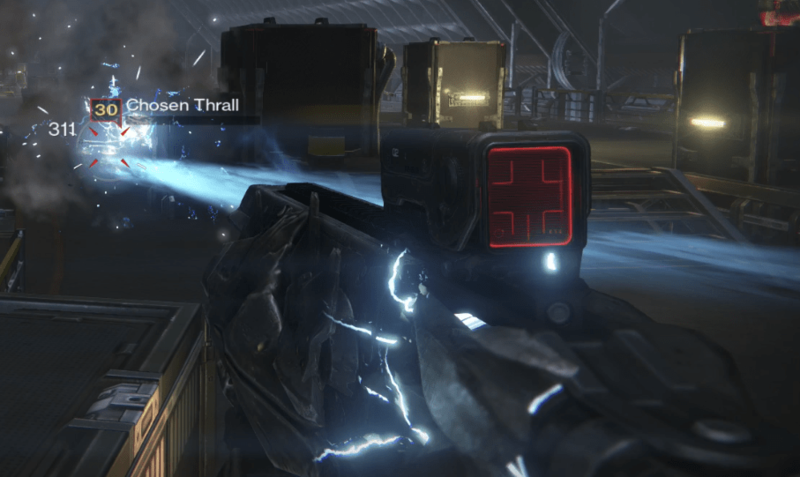 Light of the Abyss is a Legendary special fusion rifle. 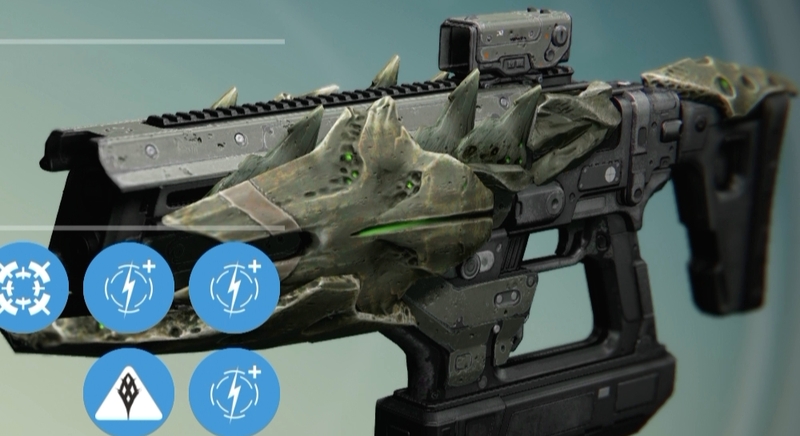 This weapon has the chance to drop after defeating Crota in Crota’s End. The good: Fastest charge rate, large magazine size. The bad: Abysmal range & Impact. Conclusion: Almost perfect for PvP. 15% damage bonus for three seconds after a kill. Increases magazine size from 7 to 8. Light of the Abyss is a special fusion rifle that can only be obtained by defeating Crota. We have a (cheese-free) guide to Crota’s End if you need help with the raid. How does this compare to Murmur? Is it a worthy Plan C replacement? Could this be the best PvP fusion rifle? Keep reading to find out! Right out of the box this fusion rifle has the highest charge rate out of all of the fusion rifles. This lends itself well to closer engagements in PvE, like the first fight in Crota’s End, and makes it a wonderful weapon for PvP. Primarily you want a fast firing fusion rifle, and it doesn’t get much faster than .75 seconds. Coupling this charge rate with the Crowd Control perk that increases damage by 15% after a kill will lead to very respectable damage output, even though the Impact is low. In PvE at 331 Attack, it will take about 2-3 bursts to land a kill on a tier 2 enemy, and only 2 if you have Crowd Control active. In PvP each bolt will do 41 damage, requiring 5 bolts to land a kill. Crowd Control makes it even easier to kill targets in PvP, requiring only 4 bolts to hit a target if it’s active. It’s base stability isn’t great, but it’s not bad either. It’s higher than Perun’s Fire, Murmur, The Trolley Problem and many others. It’s reload speed is also average, better than Murmur, and can be increased to about 2.15 seconds with Speed Reload. Because it’s got such a high magazine size (the largest), the reload speed isn’t too much of an issue. The base reload is 2.50 seconds, and for PvP, you probably won’t appreciate the .35 second reduction as much as you would an additional shot. Unique to the raid weapons is the Hive Disruptor perk which increases damage to Hive Majors. You’ll be able to do about 400 additional damage to Hive Majors. Light of the Abyss has an extremely low range, and the lowest Impact of any fusion rifle. As long as you stick to killing things up close, you’ll be fine, especially considering you get bonus damage when firing from the hip. The perks unfortunately are a little underwhelming. The Enhanced Battery perk will only increase the magazine size from 7 to 8 (but to be fair, that’s still a great size). The Skip Rounds perk, while fun to mess around with, is simply outclassed by Speed Reload. It is interesting to be able to ricochet rounds off surfaces, but it really isn’t practical since the physics are a bit hard to predict. Thankfully with Crowd Control, the horribly low Impact is slightly negated, which is more of a PvE-focused perk anyway. Light of the Abyss is similar to the other weapons from Crota’s End: Various bones and other hive-looking bits grow out of the weapon. Small green pulsating lights adorn parts of it as well, which also light up when you press the trigger down. Certain areas of the weapon, such as the sights, are absent of these unique cosmetic features. Light of the Abyss is an extremely solid fast-charging fusion rifle. Its use in PvE is a bit limited, as most encounters are going to be slightly outside of its optimal range, but it really finds a home in PvP. The fast charge time, coupled with additional damage from hip firing and decent stability really makes this fusion rifle a threat on smaller maps. Pretty much every player out there already has Murmur though, which is extremely close to Light of the Abyss‘ stats, so if you aren’t able to acquire this raid weapon don’t feel like you’re missing anything special. Is it better than Murmur? Well, it ends up coming down to personal preference for which one you would use since they are so similar, they each have their trade-offs. A 331 Attack Light of the Abyss will basically do just as much damage as a 331 Attack Murmur in PvE, though the superior charge rate certainly makes the Light more appealing for PvP. For PvP this weapon earns a 8.5/10 and for PvE a 6.7/10.